Results from a multi-centre study show that THC (dronabinol), the pharmacologically most important ingredient in cannabis, reduces agitation in patients with Alzheimer's disease. In addition, researchers concluded that reduced agitation may result in relief of caregivers. The findings were presented at the American Society of Consultant Pharmacists' 34th annual meeting on 12-15 November, San Antonio, USA. "Our results show dronabinol is an effective treatment for behavioral agitation in patients with Alzheimer's and may ultimately help reduce the stress often experienced by caregivers," said geriatrician Dr. Joel S. Ross a member of the teaching faculty at Monmouth Medical Center and the lead investigator in the study. The Phase II, open label, randomized, parallel-group study involved 54 patients, all who demonstrated behavioural agitation (mean age: 81 years). Following a one-week qualifying period to evaluate the degree of agitation, patients were randomized to one of two treatment groups (THC 2.5 mg twice daily or THC 5 mg twice daily). Patients received THC for 8 weeks. The primary efficacy measurement was the Cohen-Mansfield Agitation scale, that evaluates the prevalence of pathological and disruptive behaviours. Evaluation at nine weeks found significant reductions of agitation scores in both groups. There also was a trend toward a decrease in the caregiver burden scores. "It is with regret that I report that the Journal of Cannabis Therapeutics will cease production early in 2004, due to low numbers of subscribers and suitable article submissions. A more complete explanation will be published in issue 4(1) of the JCANT," said Dr. Ethan Russo, editor of the Journal and member of the Board of Directors of the IACM. 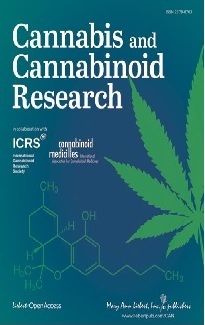 The Journal is published by Haworth Press and is the official Journal of the International Association for Cannabis as Medicine. The first issue appeared in February 2001, the last will appear in February/March 2004. Abstracts and full texts as PDF of all issues are available online on the IACM web site. 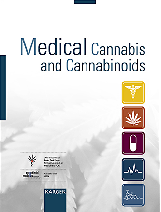 From 2004 on IACM membership fees for regular members who received the Journal of Cannabis Therapeutics as part of their membership will be reduced from 75 to 60 US Dollars/Euros. Other people with advanced subscription to the Journal will receive refunds from Haworth Press. Dr. Russo and Dr. Franjo Grotenhermen, Executive Director of the IACM, intend to expand the extent of the IACM-News, the letter sent out to IACM members four times a year. Some Journal content will now appear in the IACM-News. The British House of Lords voted 63 to 37 to downgrade cannabis from a Class B to a Class C scheduled drug. The vote was the final hurdle of the government's reclassification proposal. Cannabis will be officially downgraded to a Class C "non-arrestable" soft drug on 29 January 2004. After reclassification, most offences of cannabis possession by adults will result in a police warning and confiscation of the drug.